In an effort to alleviate delivery bottlenecks, Tesla is testing a direct-to-consumer Model 3 delivery system for local deliveries. 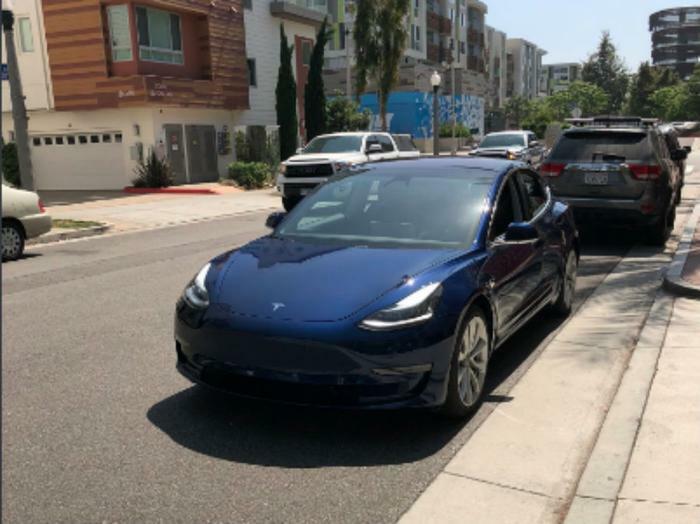 Chief Executive Elon Musk tested the new system himself by coming along to deliver a blue Model 3 to a customer in Playa Vista, California, a few miles from Tesla’s Marina Del Rey delivery center. “We tried out a new delivery system using an enclosed trailer straight from factory to owner’s home, so super convenient & car arrives in pristine condition without wasting plastic wrap,” Musk tweeted. Since Tesla achieved its goal of producing 5,000 units in a week, the electric automaker’s service centers have been overwhelmed with customer deliveries. The direct-to-consumer delivery system may be intended to ease capacity issues and expedite the delivery system. For the new system, Model 3s are delivered directly from Tesla’s northern California assembly center to a consumer’s home within a certain radius of the factory. That’s a change from Tesla’s former method of carrying out home deliveries, which was not direct-from-the-factory. Electrek points out that the new system enables Tesla to streamline the process for local deliveries by cutting out several steps, including waiting for a truck to load several vehicles, going to a Tesla store or delivery hub, and sitting in transit in between. The automaker is also testing other ways to simplify and speed up the process. Its “Sign and Drive” program gets buyers out the door in just five minutes by replacing the need for a lengthy walk-through at the dealership with a series of nine videos watched by the customer beforehand.